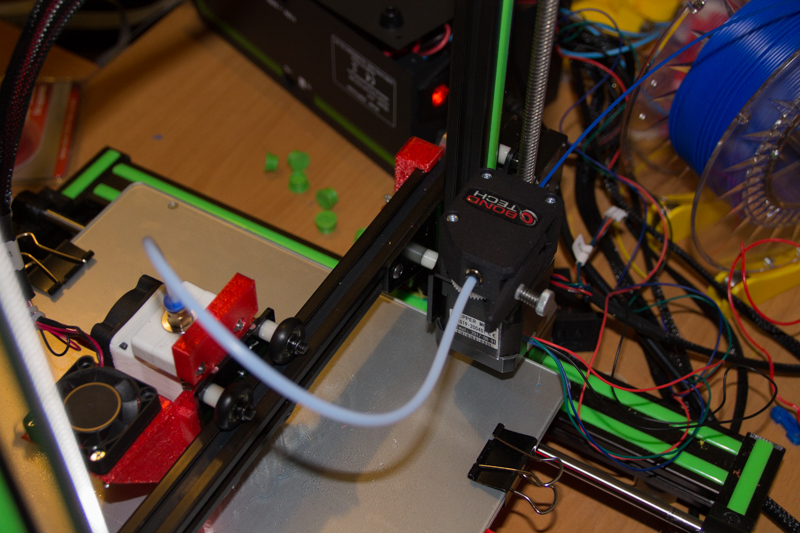 Today I am going to show you a new improvement for Anet E-10, Bondtech BMG extruder. 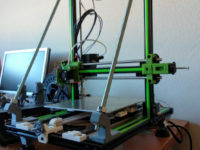 I bought the extruder on a massive purchase orgnised by SpainLabs with the collaboration of 3dfilamento.es. This was the first time that I participated on a masive purchase, and I love this way of buying. The process was very easy, you must sign on on the purchase forum and after that a discount coupon were sent to the people that signed on. Juan from 3filamento.es is a very kind person and it was a pleasure treating with him. The package arrived to Madrid two days before than the expected delivery date, but due to the transport company the delivery was not made on the day that is supposed to be. The extruder, is geared extruder type, with a relation of gears of 3:1. 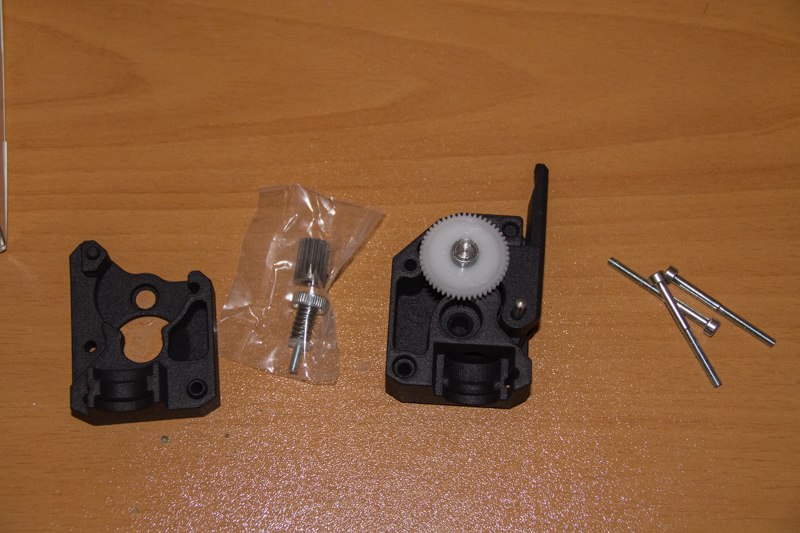 In the photo below you can see the packaging of the extruder. 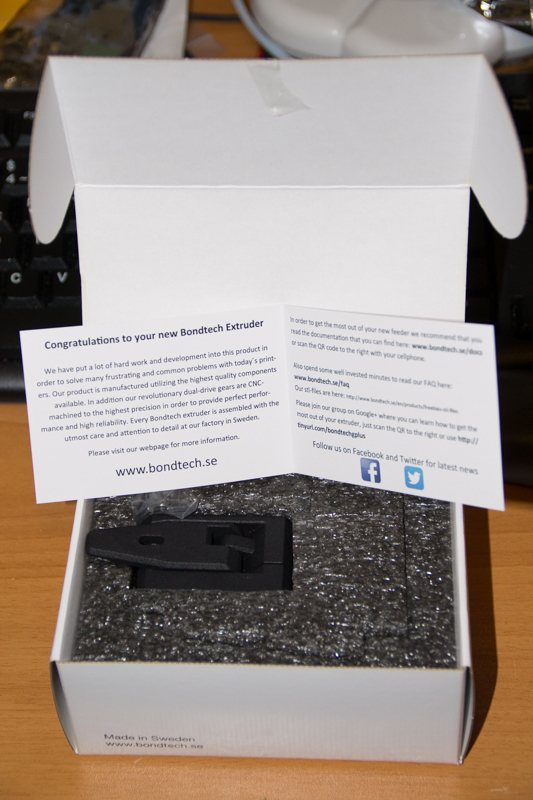 Print a filament guide that is available on Bondtech´s web. I opt for the second one and it works perfectly. Remove the old geared wheel from Nema´s 17 axis. Mount the new geared wheel on the motor axis, with the adjusting screw looking down. Put the motor on the support and mount the extruder on top of it. Fasten the three long screws. Below this line, you can see that the value must be false for geared extruder according to Marlin documentation, if you do not commit this change the extruder will retract instead extrude whn is supposed to do. On the next section, you must set steps for the extruder, in my case the correct value is 830 because I use DRV 8825 drivers. If you use Anet motherboard or any board with stepper drivers at 1/16 steps you must put 415. The filament loading is extremely easy. I tried the extruder with PLA and flexible filament and it works great with both type of filaments.